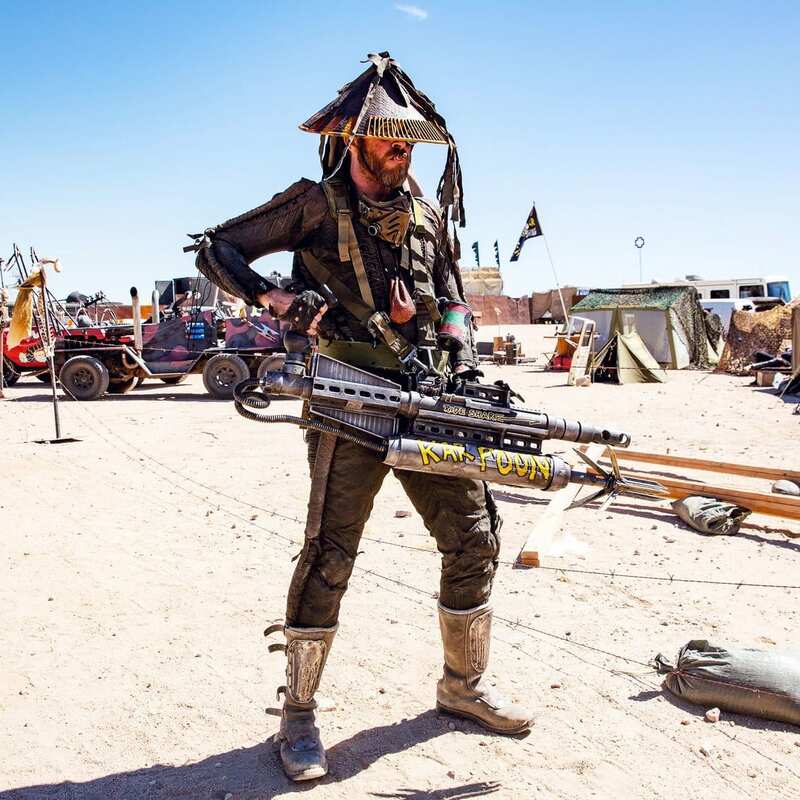 Given that the Wasteland Weekend festival is held at the end of summer in the Mojave Desert in southeastern California, this man’s costume, even if it’s undeniably awesome, looks like it might get more than a little bit sweaty and uncomfortable. He’s piled on layers of armor and other military-type gear in this elaborate getup. This man has one of the most crafty and impressive weapon props at the festival, and that’s saying a lot. And from the looks of it, he wants you to know its intended purpose. His ‘Karpoon’ was undoubtedly designed in the mage of a sophisticated harpoon-type mechanism capable of snagging passing cars, upon which his character would probably want to leap aboard and overtake.